Fresh, whole, and small batch. Established by chef and founder Meherwan Irani in 2009 with the opening of Chai Pani Asheville, Chai Pani Restuarant Group has grown to include restaurants in Asheville and Atlanta. An Indian Street food restaurant, an all-wood, whole hog barbecue joint with a bakery program established by award-winning pastry chef Ashley Capps (Buxton Hall Barbecue), and a bar (MG Road), all tucked away in the heart of the Blue Ridge Mountains in Asheville, NC. The restaurants have gained nation-wide recognition for their innovative yet true to traditon take on cuisine, while supporting local, sustainable and responsible farmers and food purveyors. 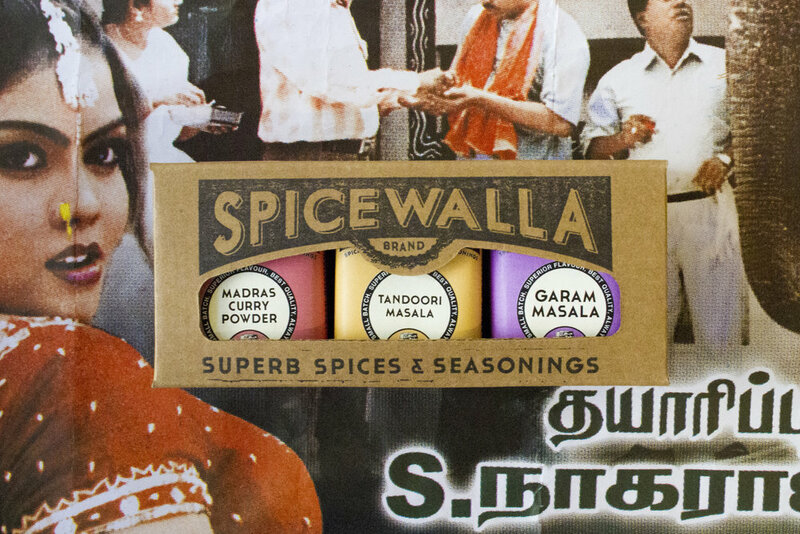 Holiday Spice, Indian Essentials, and Grill & Roast collections now available. Wholesale spices available through Southern Foods and Spicewallabrand.com.